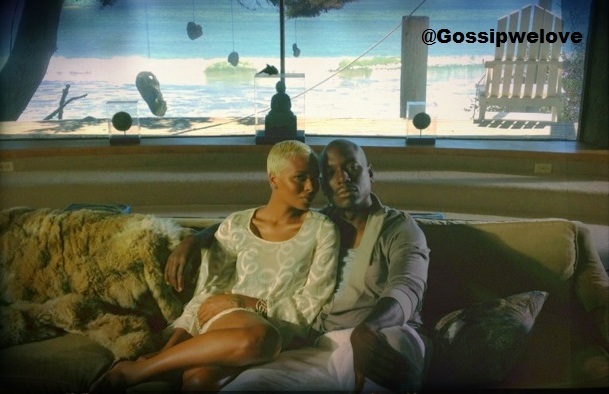 R&B singer Tyrese Gibson has officially released his long overdue music video for his new single, "Best Of Me" which is off his "Open Invitation" album that's in stores now, and stars supermodel/reality star Eva Marcille. "It's Winter! It's time for cuddles, love and hugs... I had a vision for this video. I wanted to show images of love like you've never seen before.... Two people living in a world where nothing matters but the love they share....Eva Marcille was my best choice, her grace, natural beauty and confidence radiates love." "Im In tears.._ @EvaMarcille I love you dearly .. You showed up for me.. I was lost and you showed up for me!... AND While others have jumped ship ... I'm fighting to keep real R&B ALIVE!! Enjoy my new video_~^~_ ~_BEST OF ME_~!" "Working on this masterpiece 'Best of Me' with Tyrese was amazing. He's truly an artist and I'm honored to have been apart of his vision." So are you feeling the video?